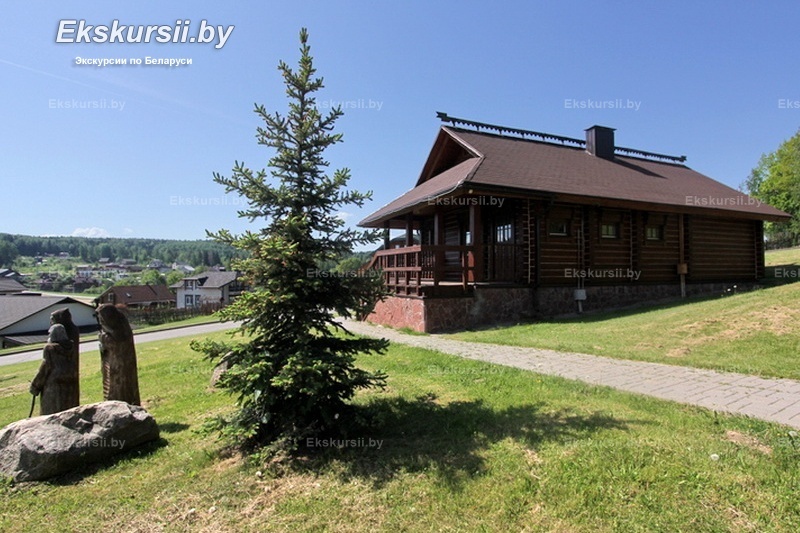 Just 60 km north of Minsk is amazing and picturesque places - was popularly called «Belarusian Switzerland». 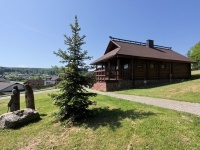 Countryside, hills and rugged hills is the best features for outdoor recreation and relaxation, here compactly housed famous Belarusian ski resorts «Raubichi», «Silichi» and «Logoysk». If desired groups, for an additional fee, in winter time, driving on the sledge, skis, snowboards can be organized. In summertime – rent of an arbor or the organization of active recreation, to the discretion of group. 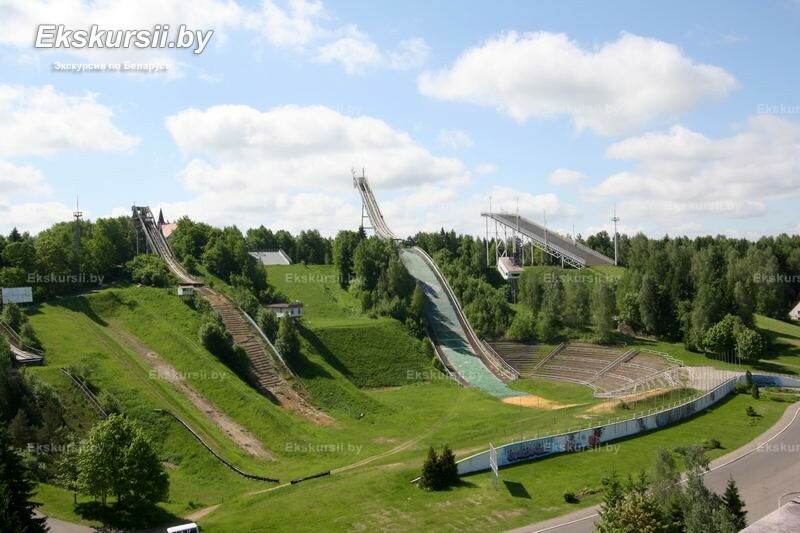 Slope ovegrown with forest with 250 meters length and 80 meters of height difference, the building of the dilapidated church on the mountain and creek - that's how the history of the first ski resort in Belarus began. There were no techniques for the road preparation - and the track was prepared by skiers, who trampled down the sliope with skiing. To climb to the top in such way, overcoming the 250 meters with 80 meters of elevation range was not an easy at all. But the love of mountain skiing won. 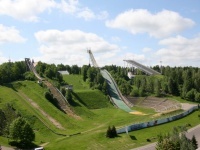 So, winter sport has developed and the neglected slope has turned into the Republican Center for Olympic Training by the forces of Vladimir Grishchenko and his team. The ski center of Silichi just recently, in 2005, opened for the first time the gates for those who like active recreation. Today it is already a full-scale entertainment and health center. The hilly landscape and picturesque nature dispose to rest here all year round. 7 ski slopes, areas for tubing or zorbing, go-karting, tennis courts, arbours at the woods and fishing - you can keep busy yourself at any time of the year here, and the developed infrastructure allows you to rest here as much as you want to the soul and body. 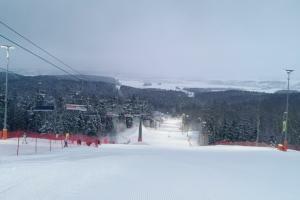 Ski resort Logoysk - a combination of beauty and sports. 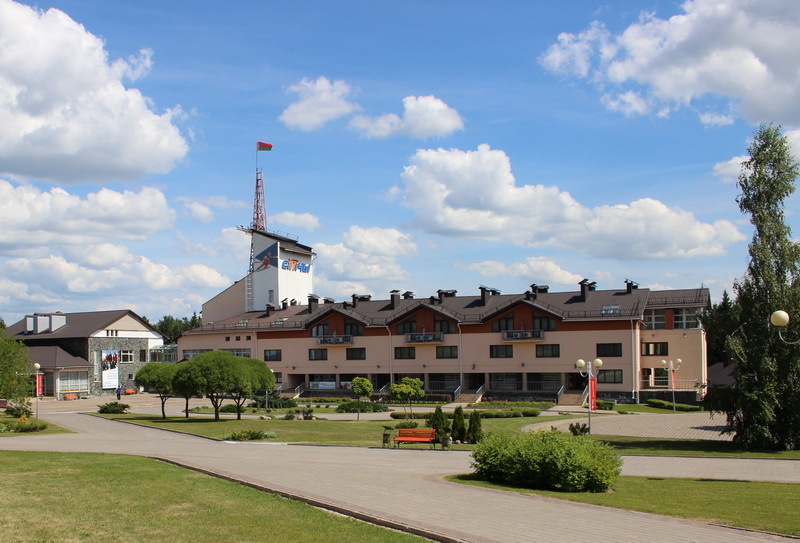 Consistent in a single old Belarusian architecture style, against the backdrop of picturesque hilly landscapes creates great and favourable atmosphere for holding all sorts of events. And equipped ski resortis not inferior to the famous European analogues in its characteristics. 06-October-2018 Гиль Екатерине выражаем благодарность за помощь в проведении мероприятия!!! Отзывчивый и терпеливый специалист! Спасибо! Яковлева Инна - отличный экскурсовод!!!! Коллектив нашего предприятия выражает ей огромную благодарность за проведенную экскурсию и помощь в проведении праздничного мероприятия! 30-May-2016 Огромное спасибо Кристине, которая отлично помогала в решении всех вопросов и возникающих проблем. Экскурсовод очень доброжелательный. Обладает обширной информацией и огромным желанием поделиться своими знаниями. Большое спасибо ей за это.